As part of the annual Hunter Valley Wine & Food Festival, the 100 metre meal is a truly unique dining experience in the Hunter Valley. 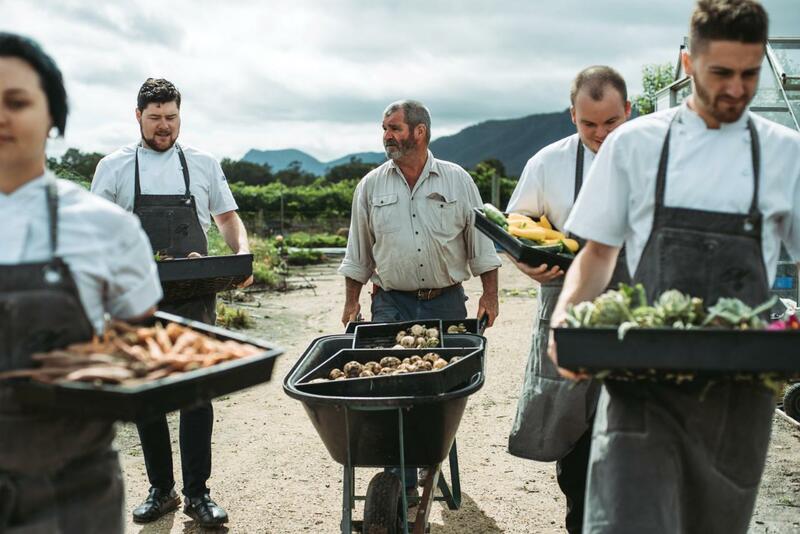 As the pioneers of 'agri-dining' in the Hunter our 100 metre meal showcases the provenance of our estate-grown, estate-made produce. Everything on your plate and in your glass has been grown within 100 metres of your restaurant table. Enjoy Margan lamb, garden vegetables, orchard fruits, free-range eggs, fresh unfiltered honey and olives matched with our estate-grown wines. Includes, Sunday morning garden tour with our head chef Thomas Boyd, followed by a three-course lunch in our award-winning hatted restaurant. Optional - Matching Margan wine made from the 100 hectares of surrounding vineyards.